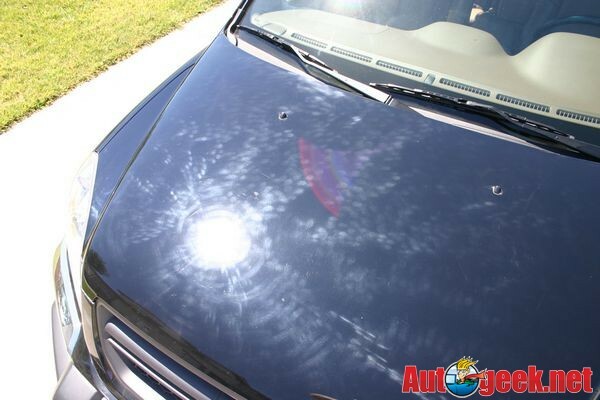 Fingermarks, also called Leopard Spot Effect, are actually a type of scratch-pattern left in the paint from using a product that's either too aggressive to be used by hand or not safe for clear coat paints. The marks mimic the shape of your fingertips as they push down on some type of applicator pad while working a product over and into the paint. Finger Marks are inflicted into the paint anytime you stop the movement of the applicator pad for at this moment, as brief as it may be, there tends to be more pressure exerted to the fingertips at the point at which you either stopped moving your hand or changed the direction in which you're moving your hand. This can happen if you apply products in a circular motion or in a back-and-forth, straight-line motion. It's not the direction of the motion, it's the stopping of motion or the change of direction of motion that the marks are imprinted into the paint. It can also be caused by using too aggressive of a material for an applicator, for example a coarse cloth like cheesecloth a red shop rag. 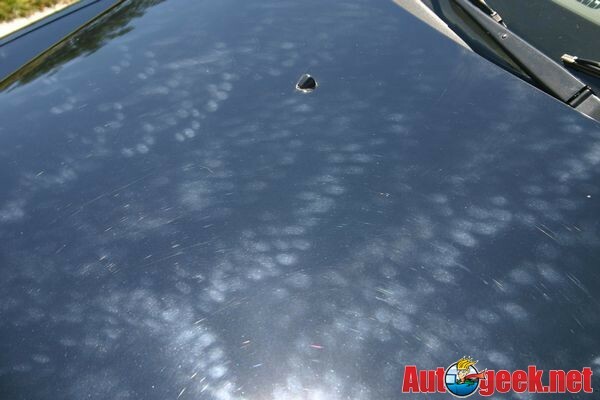 In the last year I met a gentleman that purchased some Cheesecloth at a PBE store that said on the package it was safe for clear coat finishes, he used the cheesecloth to apply a hand applied polish to the paint on his brand new black Porsche and ended up instilling finger marks everywhere he rubbed the paint. We all know you shouldn't apply paint care products to any type of paint using a red shop rag but I've met people that don't understand how easily clear coat paints are scratched and thus don't take the type of applicator or application material they're using into consideration. Automotive repair shops use a lot of shop rags, they're not always read, sometimes they gray or purple looking but they're all made out of fairly coarse material and it's not uncommon for some well-meaning mechanic to wipe or rub something off a car while it's in the shop for repair and in the process instill scratches and finger marks. Old fashioned rubbing compounds in which the abrasives are hard and sharp will also cause Finger Marks when applied by hand. 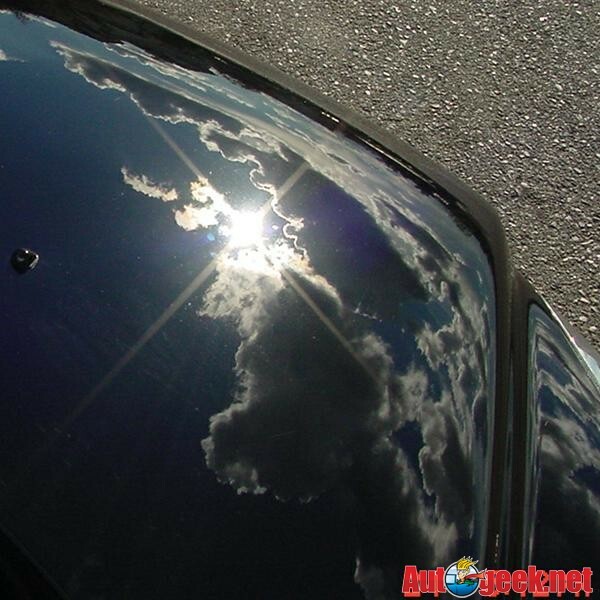 While most rubbing compounds have been reformulated to be safer than old style compounds that were commonly used on single stage paints before the 1980's, there are still zillions of cans of rubbing compound and polishing compound in garages and shops across the country that are used on clear coated cars because that's whats already out in the garage. This is why you want to do a Test Spot to the paint anytime you're using products you're unfamiliar with or working on paint you've never worked on before. If the results from your Test Spot look good, then simply duplicate your process over the rest of the car. If the results from your Test Spot don't look good... aren't you glad you only worked on a small section? Always read the label of any scratch or swirl mark remover and make sure it states on the label that the product is safe for hand-application to clear coat finishes. These were all instilled applying a product that was originally introduced as a hand applied swirl and scratch remover. It was never introduced to the market. It was given to me to test and I tested it on what started out as a flawless finish. It was applied using overlapping circular motions using a clean, soft foam applicator pad. 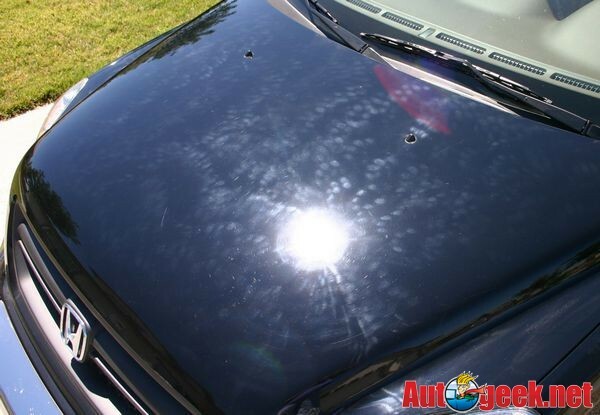 The product was applied over the entire hood using a normal protocol of working small sections at a time, then when moving onto a new section overlapping a little into the previous section until the entire hood had been worked. All work was done in a garage with normal garage lighting and the finger marks did not show up until the car was pulled out into the sun for inspection. While this test was done purposefully to document with pictures the problems caused by using products that are too abrasive for use by hand on clear coat finishes, it's always a best practice to only do a Test Spot when using a product for the first time, or working a a paint system you are unfamiliar with. 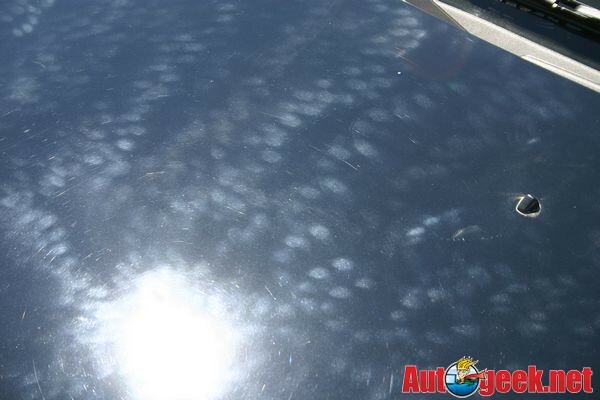 After the finger marks were documented, they were then removed using a DA Polisher and a clear coat safe swirl and scratch remover and the original swirl-free finish was restored to the demo car. I myself have never put finger marks on my car before, but what I find odd is my cats have. and no they weren't trying to detail my car lol. 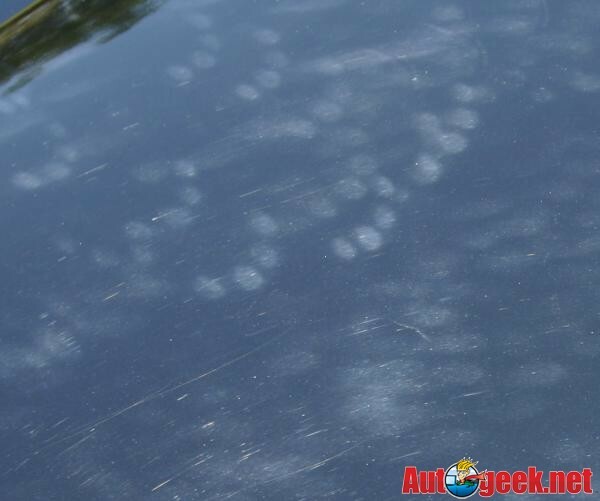 they climb up on my car and I can see where their paws leave marks exactly like this, except in a shape of a cat paw. it's weird, and only my PC can remove it. anyone want some cats??? my 223 can take care of those... from a couple hundred yards away!!! 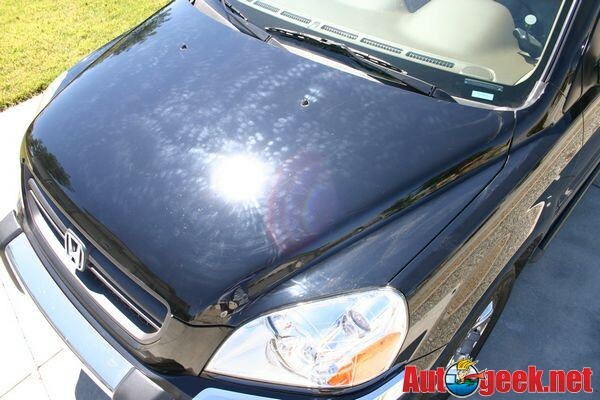 This Honda Pilot was buffed a lot, (it was our family grocery-getter), the paint on it buffed out like butter. I don't think I took an after picture as this was just another day-in-the-life for me. Take my word for it, the finish was restored to flawless before anyone one in the family knew it was used for testing. Pics, or the recovery never happend!! I try and evaulate my customers and then lay out the tools for the job, since the owner uses this as a daiy driver parked out 24/7 and doesnt really car to have a flawless finish, thats why a light duty cleaner wax was used. But is it possible that even on the softest paints using the most gentle of products that fingermarks could be instilled? Pics, or the recovery never happened!! This was actually after purposefully swirling out the paint and then buffing with only M80 Speed Glaze. Then chemically stripping and then taking a sun shot for someone hung-up on fillers. 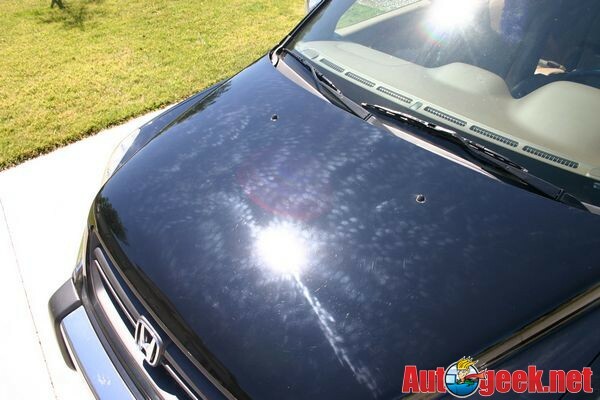 I posted these pictures because from time to time people will try rubbing their car's paint out by hand and end-up with a finish that has finger marks and most of the time the problem is either poor quality product or bad technique. The bad technique is doing a quickie job not understanding how to use a compound and not understand you can only work small sections at at time when removing swirls out of clear coat paints by hand or machine. So a point of reference is needed and I just happen have one in my "personal" collection of car pictures. ugh my neighbor has like 5 outdoor cats that love to sleep on my car and i get those lovely little paw prints on my black stang as well. along with the scratches from their claws after i wax it because its slick. they have defenately made my paint job worse.